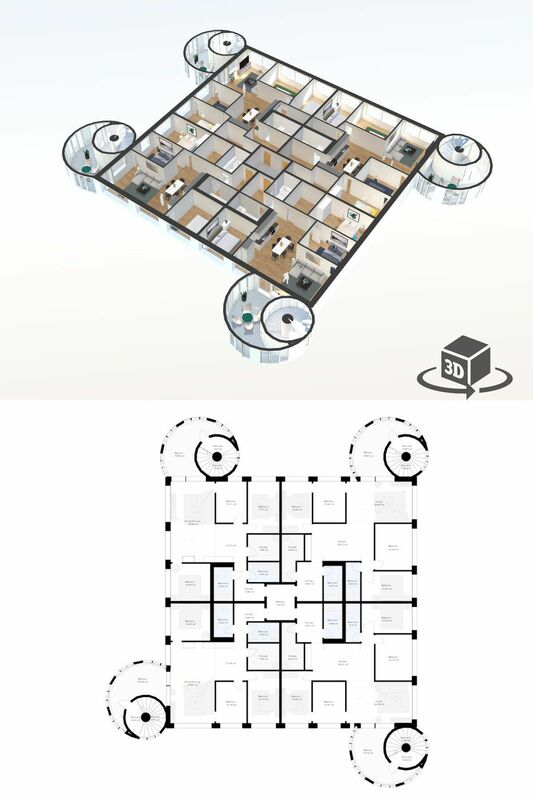 Flat 2D floor plans are sometimes hard to understand, but interactive 3D floor plan models give a viewer a true sense of space and function, allowing you to explore the space from above or from within. 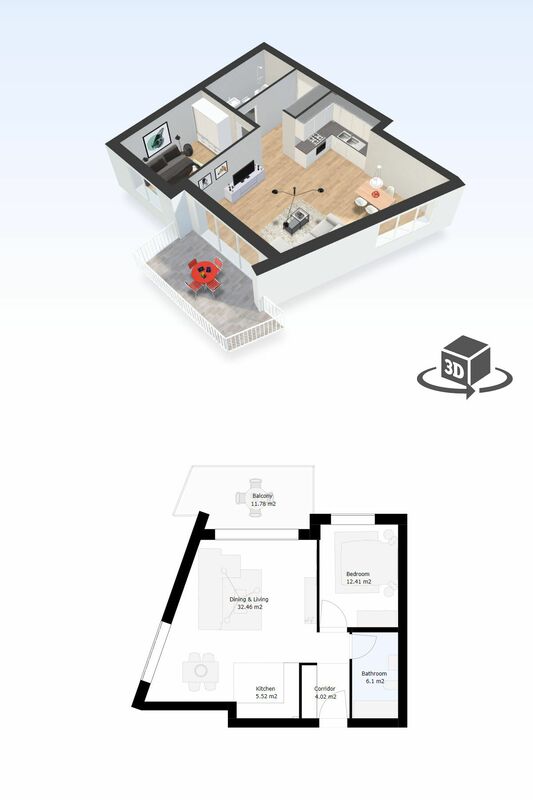 Interactive 3D helps people to understand a space faster/easier than static 2D. Get your own interactive 3D model within 1-day, at a fraction of the cost that you would expect. These 3D models require no software download, no app, or any previous knowledge. The technology is completely cloud-based and runs on any browser (requires webgl which is found in all newer browsers) and all devices. 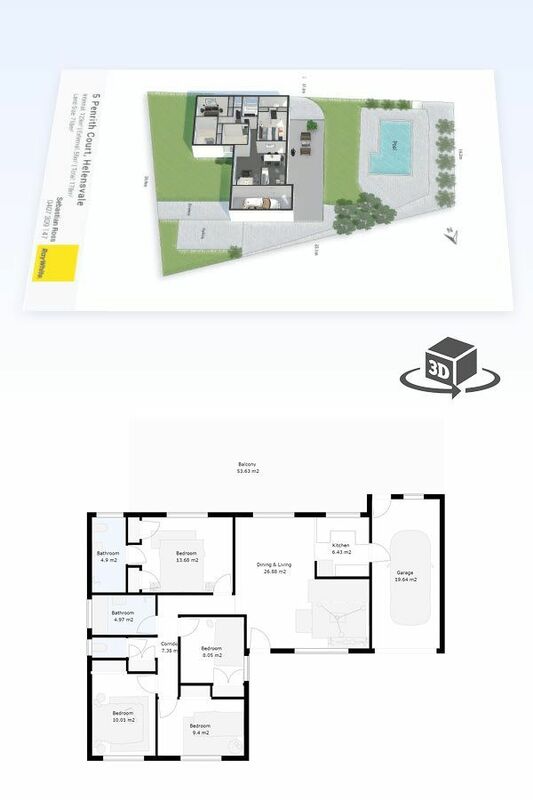 Simply upload your floor plan via our website in PDF or image file format. Once a secure payment is received we'll start to process your 3D model. 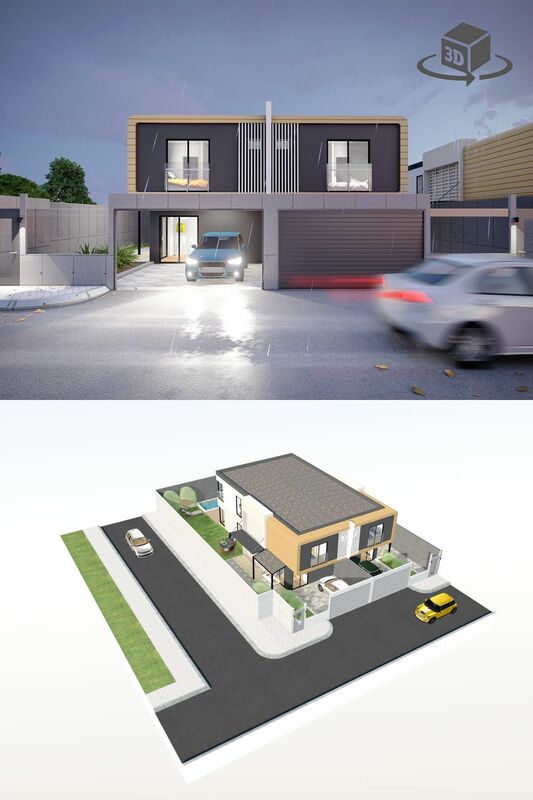 When completed we will send you an email with the 3D model link that you can share or embed into a website. Simple white furniture without textures. Furniture and floor coverings with full high quality baked textures. We will match generic finishes as requested by you for but for exact custom product finishes we charge extra. You will supply us with a finishes schedule from your architect or interior designer that we can match your model too. Hosting on our servers at 0.04c per square meter, per month for 3, 6, 12 or 24 months. Models cannot be self-hosted. Models will be removed once expired. We will fix any structural mistakes made by us free of charge. Any additional structural or appearance changes different from the original floor plan are deemed as revisions. 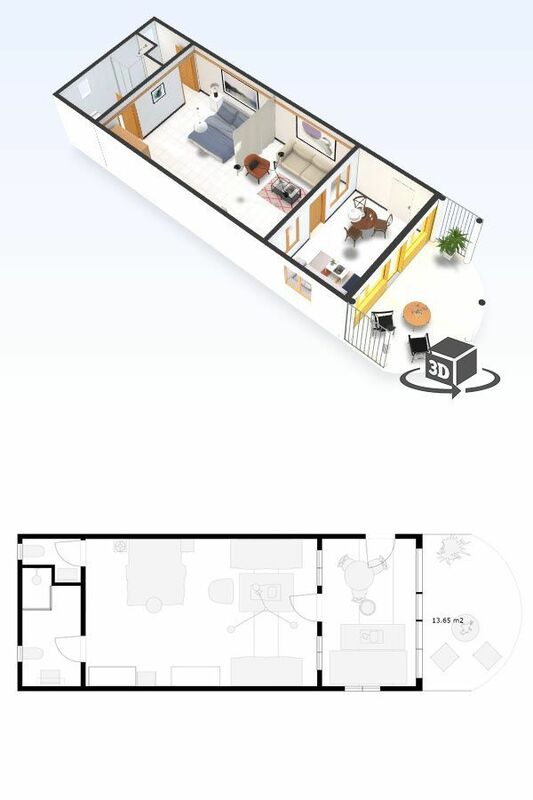 1 bedroom apartment interactive 3D floor plan model. 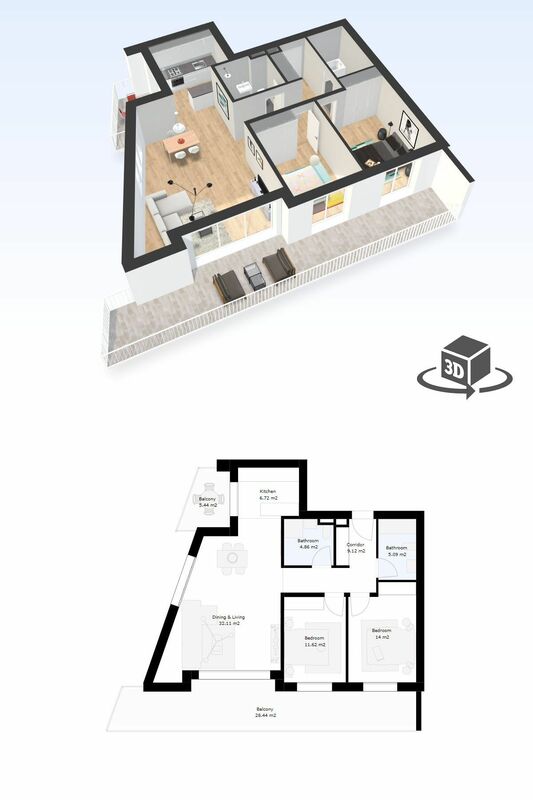 2 bedroom apartment interactive 3D floor plan model. 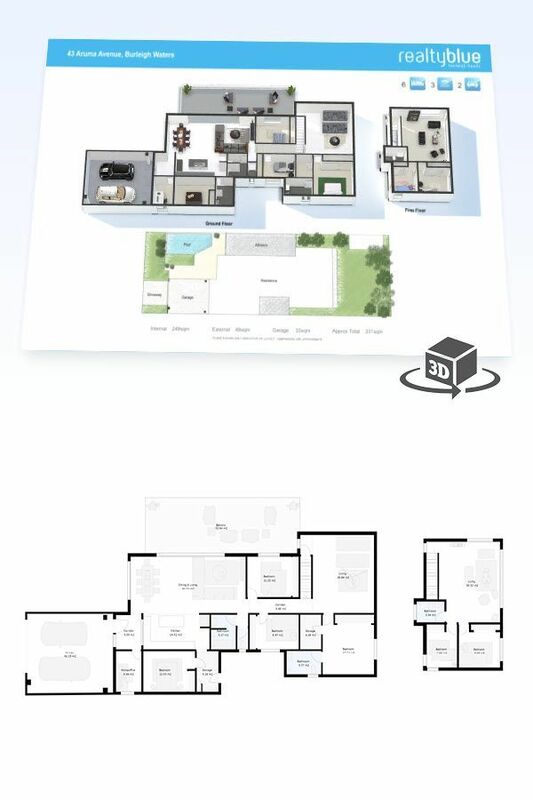 3 bedroom apartment interactive 3D floor plan model. 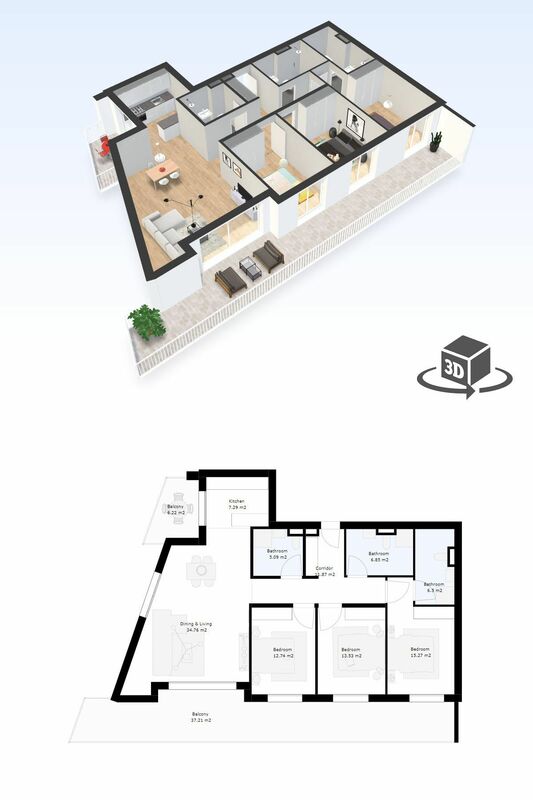 Get started converting your 2D floor plans into interactive 3D models today. Simply upload your plans to start.